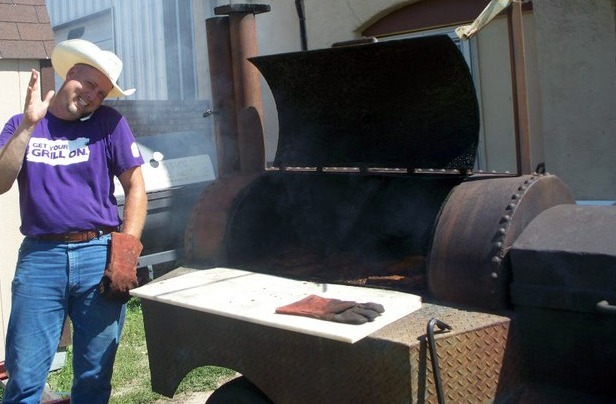 If you didn’t make it out to the Morland Mercantile Benefit supper on Friday July 15th, you missed the best barbeque ribs in northwest Kansas! 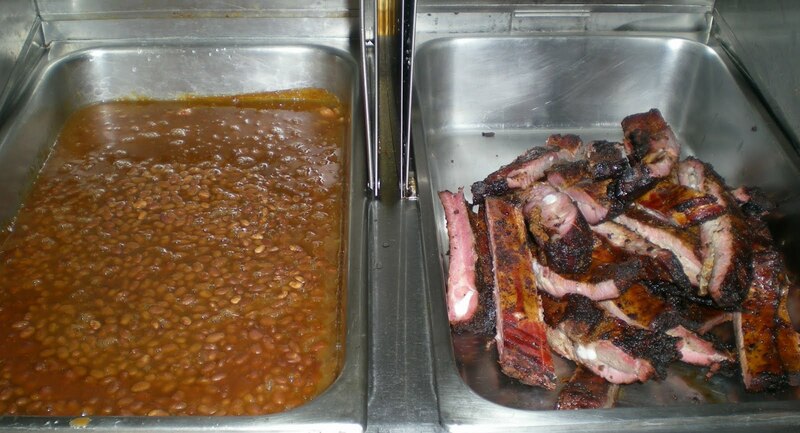 The buffet line. There was more, but this is the important stuff. The event was a fundraiser for the Morland Mercantile, a community kitchen and access to food facility housed in a historic downtown grocery store building. Equipment for the Morland Mercantile will be brought in early this fall and hopefully the doors will open for business soon after. Looks so good, and they were! 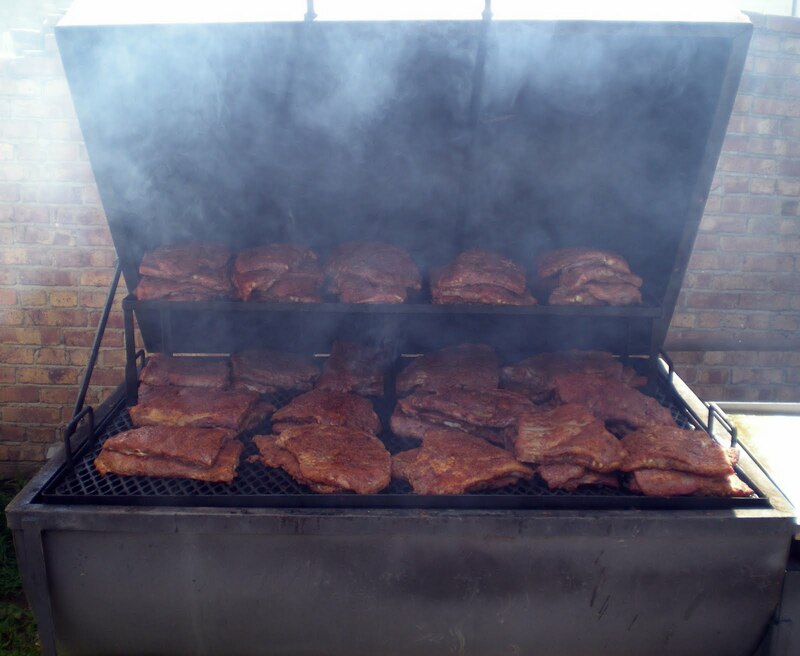 The July 15th barbeque brought in approximately $1700 in donations for the thirty racks of ribs and five gallons of beans that were served. The ribs were expertly prepared by KCBS bbq judge Chris Petty with assistance from community supporters Alice Petty and Alex Leslie. 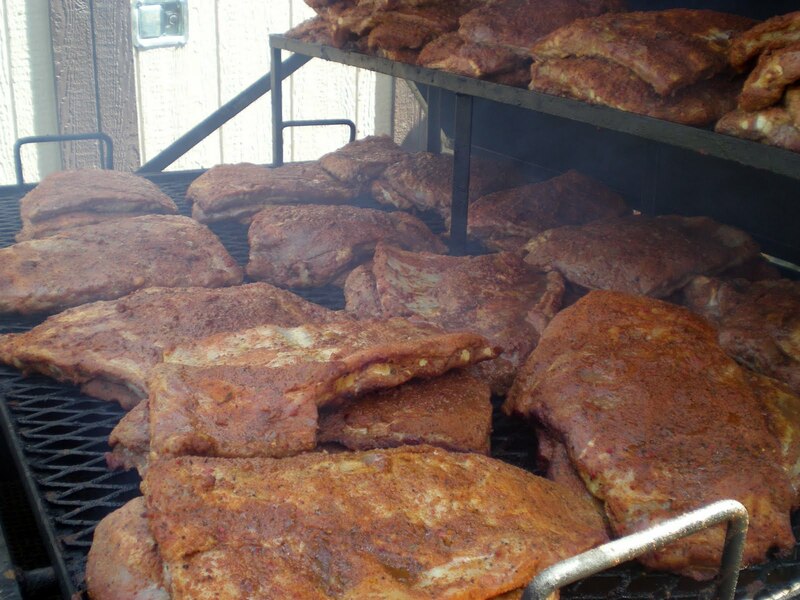 They were slow smoked on three smokers for approximately 8 hours using a combination of mulberry and hickory wood and were hand rubbed with Head Country Seasoning.